Nothing says romance like being aboard a luxurious yacht sailing into the sunset with a platter of cheese and a bottle of champagne right? Give the ultimate romantic getaway gift with a Sailing gift certificate. Select from bespoke overnight cruises; the perfect gift for couples to a nautical themed lunch and drinks perfect for the dad that has it all! Learn all the fundamental principles of sailing with this 2 day course. Total 12hrs on water time. Know someone who loves spending time out on the open water?Let them take to the waters of beautiful Sydney Harbour and learn how to prepare a yacht for sailing, understanding the wind & weather, manoeuvring, rules of the road, knots and basic navigation. All instruction is aboard a luxury Dufour class yacht and by an accredited sailing International Yacht Training Worldwide Instructor.The course is run over two days (mainly weekends) from 10.00am to 4.00pm. Picture you and your friends aboard a luxury yacht, sitting back with a glass of sparkling wine in your hand, watching the sunset over the Opera House and the Harbour Bridge relaxing, enjoying the sights and sounds of Sydney Harbour. Spending a day, afternoon, evening or overnight on a yacht is a very special way to enjoy & relax with great food, wine and friends. 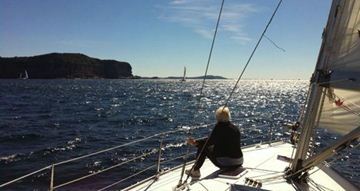 Our yacht's special features make having a sailing day on the Harbour a very special occasion. This is the ultimate tour package for 2 adults! Including a full day 4WD tour in an air-conditioned 4WD vehicle, a ‘Pure Sail’ 3 hour wildlife cruise and a 1.5 hour Sundown cruise aboard Shotover, an 18 metre awesome, record smashing ocean-racing catamaran. Your skipper will be your host, guide and instructor for those who wish to take an active role with the crewing duties on the yacht.Alternatively, sit back, relax and enjoy the moment. This is a fun, safe and exciting way to enjoy our magnificent harbour. Full safety briefing included. Sailing is the best way to explore Sydney Harbour! So come along and step aboard a luxury yacht for a hands-on sailing experience, or if you prefer sit back and enjoy the view as you sail along. 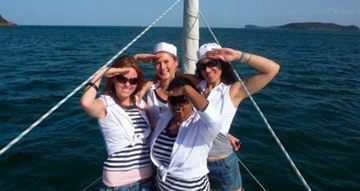 Be part of the crew trimming the sails and taking the helm as you navigate your way past the historical attractions, luxury homes and beautiful bays and beaches. On board the yacht is a highly experienced instructor who will show you the ropes. Take an active role or sit back and enjoy the experience. Never set foot on a yacht before but want to have a go? This one day introductory sailing package is the course for you! At the Southern Cross School of Yachting learn all the aspects of sailing in the simplest and most enjoyable way possible. 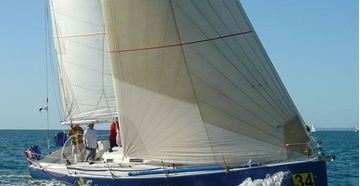 You will learn to steer the yacht and work the sails as you sail the boat around the beautiful Moreton Bay. steering and using the compass and safety on board. Conducted on board a 40-foot training yachts, this practical, hands-on course will not only teach you the basics of sailing yachts, it will whet your appetite for more! This sailing lesson is the ultimate gift for anyone who likes the outdoors and a little physical activity. A sailing lesson on Sydney's Balmoral Beach - an ideal spot to catch the prevailing north-easterly sea breezes. A dinghy sailing taster session on Sydney’s beautiful Balmoral Beach on Sydney Harbour – an ideal spot to catch the prevailing north-easterly sea breezes! 2 hour session with all equipment and tuition included.